Our CPU of choice for this budget is the Intel Pentium G4560. While it features only two cores, the G4560 also employs hyperthreading to help close the gap between it and a 4-core i5. Hyperthreading adds an additional logical core for each physical core, which is handy for streaming, video editing, and multi-tasking CPU-intensive tasks. The G4560 includes a stock cooler, so a 3rd-party cooler isn't necessary. We're using a parametric filter to constantly select the best-priced motherboard while meeting selected criteria. In this case, we are filtering for B250 chipsets and 4 DDR4 DIMM slots for future expansion. The compatibility engine will filter out anything not compatible with the build. The motherboards are also capable of using the CPU's integrated GPU, in case you need to RMA your GPU or are waiting for a sale or upgrade. A parametric filter is being applied to choose the best priced 2x4GB kit of memory within Intel's recommended specifications. With this selection, we have space on the motherboards for 2 more sticks of RAM, leaving room for future expansion. We're also using a parametric filter to select the best priced SSD available that is at least 240GB. The SSD can be used for your OS and a handful of games. Additionally, we're using a parametric filter to select the best-priced 1TB drive. Everyone's needs are different, so feel free to increase capacities or remove a drive to fit yours. We're going with a filter for the best-priced AMD Radeon RX 470. This will run modern games at 1080p quite well. If you'd like to squeeze a little more performance out of your build for more money, you can check out the Radeon RX 480 and GeForce GTX 1060 3GB to see if their prices look appealing to you. The Deepcool TESSERACT is a mid tower case that can fit all of our components. It offers decent cable management, which can sometimes be a problem at our budget, and there's room to expand with hard drives or a solid state drive. It also has 1 USB 2.0 and 1 USB 3.0 port on the front panel. Cases tend to be highly personal choices, so make sure you browse our listed cases to see what suits you. There's a windowed version of the same case if you want to see your parts, and if you'd simply like a color change, there are black and red and white versions as well. For the PSU, we're using a parametric selection of a few well-reviewed semi-modular and modular units, which are all rated for good power efficiency and can provide plenty of power for this build. Is there a special reason why the parametric filter for RAM includes 2133MHz? Both the CPU and the motherboard now support 2400MHz and from what I read the G4560 will run significantly better with 2400MHz. 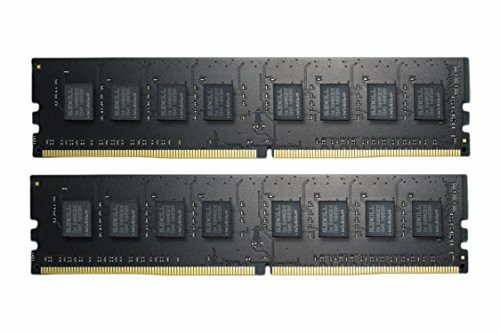 Since the price-difference is minimal, should't the lowest recommended RAM be 2400MHz? I thought that too! I bought an 8gb stick of Avexir 2400MHz RAM for 50$ (which is only a few bucks cheaper , but more aesthetically-pleasing with its blue LEDs) a few months back but I haven't been able to pair it with the G4560 yet to test how speedy it is. Maybe it was just overlooked in this guide? Did you just assume my monitor's hertz?? Make it 8th son of an 8th son and then we'll talk. 8th son of an 8th son? Make it a 17th son of a 17th son. It was a Discworld reference. Perhaps I was too confident that people would catch it. 60FPS just simply isn't enough in CS. It feels very laggy even on a 60Hz panel. But you understand latency has little to nothing to do about your PC right? Probably 100-140 FPS. CS:GO Isn't too intensive of a game. Several; that's your answer! It will get you several frames. Hi, I was wondering if there was a cheaper graphics card that could be used? Something like the EVGA GeForce GTX 1050 GAMING 2GB? Absolutely. It won't be at the same performance level, but will work just fine. RX 460 is another lower-cost option. I play mostly low-requirement games - CS:GO, LoL, Overwatch, + the occasional Triple A like battlefield one or fallout/skyrim. How will the RX 460 compare on this build vs the 470? CS:GO, Lol overwatch etc. will all run at over 60fps at 1080p ultra with either cards but for battlefield 1 you might want the rx 470 unless you're ok with medium settings. I have this hardware (G4560 and RX 470) and skyrim runs locked at 60fps constantly (and I have over 20 mods, most of which are graphical, installed). I think fallout runs fairly similarly to skyrim so you should be good with an rx 470. A RX 460 would run skrim SE at ultra at around 45fps during dragon fight scenes and will stay around 60fps in less intense scenes/areas. I did look into getting a rx 460 before and if you can get one for under 100 £/$ that is a good value option but I would reccomend taking a look at a 1050ti, which would be good for high to ultra settings for all the games you play and you can sometimes see for 130 £/$. Feel free to ask any more questions you have about it. I can send you some benchmarks too if you like. If you can find a 470 for under $150 it really doesn't make sense to go any lower. The 470 is much faster than a 1050 for only $20 more. I am looking to build my first PC and this build has been highly recommended. I want to know what kind of performance i can get expect to get out of world of Warcraft, league of legends and the newer Total War titles? I intend to run these games on low to medium settings. WoW and LoL should both run at over 60fps at 1080p/Ultra. Total War however will be a lot slower due to the heavy CPU-load in those titles. It will be playable with reduced settings, but not with the same performance as the other games. Wow wouldn't run steady 60fps at max settings in the newer areas/busy areas though. You'll probably get steady 60 FPS at a 7 or 8 in the settings. Total War: Warhammer you might be able to get by with high setting (not Ultra) but in huge battles you might have to reduce your settings. Total War: Attilla and Rome 2 you will be fine and if you face some issues its because those games were just poorly developed and has nothing to do with your computer. For me, Warhammer runs alot smoother on Ultra settings then does Attilla and Rome 2 (Rome 2 and Attilla are several years old and Warhammer just came out). WoW I haven't played in years but that's a really old game so I think you should able to play that in Max Settings, unless they significantly increased the graphics for that game . League you can easily run that at Max settings. How much better would the performance be using the G4600 for the CPU instead of the G4560? You might notice some difference, but it wouldn't be worth it. The G4560 is the best performance per dollar budget CPU right now. I doubt AMD will come up with anything that beats the G4560 at the same price. However, I do hope they beat Intel with the prices of their more mainstream quad core CPU's. However, the Pentium offers a very rich upgrade path. The Athlon is a dead end. That's how I see it. Moving forward that is getting less and less true though. Games are starting to want both, so it is better to set yourself up for an easier and more efficient upgrade path going forward. For the money the G4560 is incredible. In the past yes, but now that Ryzen's coming out, I feel that AMD won't have a proper response to the new hyperthreaded Pentiums until their Ryzen APU's or Zen-based Athlons come out. I like and use AMD a lot, but with Kaby Lake and Ryzen out, it's a whole new ballgame. Great build, I think that for the money it would be worth the extra 1$ to get the RX 480 check newegg. For some reason partpicker does not show the best prices for the 480 but at this moment there is an msi 480 for 154$ with a rebate and a powercolor one for 160$ with a rebate. I think subbing those out for the 470 will make this build more impressive. Very, wet behind the ears, newbie here...just registered a few minutes ago. I'm curious, is there room for a CD/DVD drive to pair with this and what would you suggest . Second, this will be my first build ever, so I'm starting with something smaller for my wife and kids to use in our home, but I'm hoping that this comes out as a good experience for a future, larger build for my office. I'm a photographer and I notice most of the descriptions are geared towards gaming. Any chance of someone pointing out the build guides that represent the "Good, Better and Best" for Photoshop and potentially minimal video editing. We run Photoshop, Lightroom, and InDesign more than anything else. I'm teaching myself Premiere right now but I can't imagine I would ever create a video longer than five minutes. Cool site! I'm enjoying the information! Can I use a G4400 instead of the G4560 so I can use Win8.1 without issue? You can but that's quite a downgrade since the G4400 doesn't have Hyper-Threading. prob upgrade to win10. its free. Eh, I prefer Win8.1. Even if it's free, I'm just not a big fan of it. Someone clearly hasn't seen the accessibility loophole lmfao. hmmm what is this "loophole'' you speak of my wise man? Probably a troll, literally made his account on the 20th of February. Everything he's posted have been on this build. Assuming you are NOT a troll, ever heard of DX12? Windows 10 only. It actually helps in some games, even in it's current state. And that state will only improve. Also, Windows 10 is lighter than Windows 7, meaning more CPU is available for the games (If the game relies on CPU more than GPU), and consumes less graphical horses than Windows 7 (Aero is nice but still), which can only improve performance. Please explain how Windows 7 is better for gaming. The included cooler/fans for both the CPU and case are sufficient for this build. Will this run Overwatch well? And at what FPS? Yes, it will run Overwatch very well. Should be over 60 fps on max settings. LOL are you from austin evans? Is this pc Capable of running ark or darksouls three? Isn't the PSU overpriced? Cpu-5000rs Psu-15000RS.Wtf? Part pricing varies by region; PSUs seem particularly susceptible to this. In APAC, Antec should have reasonable availability and OK pricing. I built one of these except used an ITX form factor. I play a lot of games and have built really high end gaming rigs. This is my favorite so far. Believe it or not it handles all the games i have thrown at it. (Counter strike source, Astroneer, Stranded Deep, Skyrim Remastered, Black ops 3, BF4. This thing runs smooth at 1080p high-ultra settings. Its my favorite because it didn't cost a lot and it games like a champ. Multi tasking is very easy although processor slows down when running more then 4 different programs. I usually have 4-6 chrome browsers up with a game running no problem at all. The 4560 Pentium is a wonderful inexpensive processor. The RX 470 is a nice inexpensive card although installing drivers and updating it was pain in the *** (on AMD's part) their software isn't the best. I built mine for around the same price but ended up spending $100 for windows 10, which is a common thing people leave out on these builds making them seem cheaper then they are. Id rather see a higher price tag with option to remove os then a lower one and being misled. Good build though sweet looking case and could have saved an extra $15 on power supply. corsair makes a 450w perfect for this setup. The sale of those keys violate Microsoft ToS, and the keys may be unexpectedly disabled. Recommending, suggesting, advising, encouraging, hinting, or in any way implying these keys as a solution or option is not allowed on this site. oh ok sry about that...but im just wondering, could u link me the specific part in microsoft's ToS/ToU which the keys violate? The EULA varies by product. But if you're honestly curious as to the legality of key resellers, I would suggest doing a bit of googling. My apologies, thought your response was for something else. A good amount of tech youtubers have done reviews of the G4560 and they have ran all of these games at 1080p with mid to high settings with averages above 60. Most were with the 1050 or 1060 though but those are quite comparable with the rx470 and 480. I don't play 24/7 but i play at least 4 hours a day. Do you guys recommend me this pc? I play csgo and I want a good pc. On a scale of 1 to 10 what would you rate this pc? please type back. This pc will be enough to play cs:go at 1080p 60+ fps on max settings. Its good. Nowhere near future-proof but it will last you a few years. Unless you just intend to play Counterstrike and stuff. Not with the Pentium G4560, which is basically an i3, just a very tiny (unnoticeably) little bit slower. Skyrim can run on just about any modern recent CPU out there due its age. my budget is $600. Is there anything I can upgrade or replace to make this build better? Honestly, for this price range, this is as optimized a build as you're likely to get. If you're willing to wait until March, AMD's new Ryzen CPU's will come out and change the landscape however, allowing you to possibly fit in a real 4-core (not 2 with hyperthreading) into a build this price, and making Intel prices probably drop. You can tweak every component in there for price/performance/looks/preference, but this is a solid recommendation. It's the right CPU, GPU, Power Supply, Ram, and Storage / HDD configuration, and they're all balanced to work together well. Most experienced builders would make something very similar to this, in all honesty. A Pentium G4560 with an RX 470, an SSD + HDD is the optimal configuration in this price range. You could just get 1 SSHD (Solid State Hybrid Drive) instead of 2 separate drives to save costs and get more speed than just an HDD by itself (although not as much as a real SSD) and gain a little bit of convenience by not having to manually move your library folders to the "D:" drive, but honestly, you can't go wrong with a build like this one. This build is a very strong contender that's already better than the PS4 Pro, and should be able to run most AAA titles for years. I wouldn't expect intel's mid level cpus to drop when Ryzens r7's cpus come out in a couple of days. Those cpus are marketed towards higher priced cpus, 300+, hes going to have to wait until the lower tier cpus come out later this year. r5s, or r3s to actually experience intel price drops. Mid level to low budget cpus don't really have any competition atm so they won't need to drop in prices just yet. I know it is Skylake and not Kaby Lake, but besides clockspeeds not much has changed. Basically impossible to tell the difference between a Kaby Lake i5 (7400-7500) and this. Feel free to change out the case for something more to your likeing, but I just had to add something that was in the same price range, and something that is (IMO) really good. Wow the Pentium G4560 is as much of a game changer as I thought it'd be. With the new Ryzen 4-cores coming out with i5 performance for i3 prices, Intel i3's are in trouble. Being squeezed from below by Pentiums and above from AMD Zen. That said, price cuts will probably follow, which is good news. If intel drops their prices they will be in violation of anti trust act. It would be hilarious because intel has been ripping people off with price gouging for a long time. Would the i3 get me much better performance? Also I'm glad I read this page because Im ordering for my first build today and I was looking at an i3 and a 1050 TI without a solid state drive. the pentium g4560 is like an i3-6100. You could barely see the difference between an i3-6100 and pentium g4560 anyways.I say go for a pentium g4560. Also look into getting the rx 470 instead of the 1050 ti. A little more expensive but it's worth it. How well will this system runs H1Z1? The sale ended one hour before I went to purvchase my 720. The price now hovers around 170.FML. Good luck. I'm going to be building something very similar to this spec over the weekend. Only difference is my storage and GPU as I was given a donor 2GB 560Ti which helped keep my cost down! Also there's a couple points about the 2133MHz RAM used in the above build, I was able to add 8GB 2400 for not a lot more also leaving a second slot open for upgrades. Currently an RX480 is close to the price of that GPU as the prices continue drop due to AMD's release of Ryzen. Guys.. I havent messed with desktops since about 12 years ago when I was into audio production. Been looking at the Alienware ASM100 with the i3 - windows version. You can pick those up pretty cheap on ebay once in a while as low as $300 shipped. I currently use an older elitebook 8460p laptop with an i5-2520m cpu with integrated graphics. Bought an asus rog laptop for around $1300 a couple months back but returned it as I started doing more research on desktops. Would I be better off with something I can use right away like the alienware or is this build a better value? Can yiu just buy a nice cpu and use the intergrated graphics card in the cpu? It seems like this would allow you to take advantage of buying a nicer cpu that already has a nice graphics card in it. never use on board graphics if you plan on playing games or doing any kind of editing. A gpu has 100s of cores made for rendering images and working on simple tasks with alot at atime, while a cpu has very few cores for working on very complicated tasks. Only use onboard graphics if you are trying to do like microsoft office products and browsing the web, and maybe a few small games like league of legends or minecraft. You're not going to get nearly as good of performance from the iGPU of a better CPU, so if gaming performance is your goal, I wouldn't recommend that. One good thing to do is look up benchmarks by established tech sites (Google will be your friend) and see how cards compare in performance on different games that are relevant to you at resolutions that are relevant to you. You won't necessarily always find performance for your games, but getting a sense of how they do overall will help too. Make sure you post in our Part List Opinions Wanted or Create A Part List For Me subforums too. Better CPUs don't ALWAYS have a better iGPU (Integrated graphics), as even the i7-7700k (Top of the line consumer CPU from Intel) has the same iGPU as an i3-7100, a CPU that costs 1/3 as much. Also, dedicated graphics cards are usually better, (Almost always, except at the bottom of the market in the ~$30 range), as this page shows: Userbenchmark Intel HD 630 vs RX 470 the GPU in this build. Nearly 6 times faster in Graphics tasks. But, there are always use cases where people don't need dedicated graphics processors. Maybe one of those use cases is yours. It's your computer after all. This should do pretty well. 128gb SSD for Windows 10, 1tb HDD for everything else, an RX 470 should do very well on the games you mentioned (1080p Ultra ~50-60FPS at least), and the i5 should help with at least Total War, a VERY CPU intensive title. Run this build through some other people on this website too though, they may have better ideas than I do. Good luck on whatever build you do settle on! *NOTE: If you trust some other retailers more than I do, you can get better prices than these, probably below $600. Long Version - I found a Battlefield 1 Maxed Out performance overview, with DirectX11 the RX 470 4gb got ~80.1 FPS average, and with DirectX12 the RX 470 got ~80.7 FPS average. They also show a customized Ultra, one that changes settings that gobble up FPS without much of a visual affect. Using this guide, you could get 100+ FPS easily at near-Ultra. More details HERE on what settings have the biggest performance hits vs visual affect. If you REALLY need to cut down the price of the build below, you could take out the SSD and downgrade to the GTX 1050 from the RX470. This will cut down the quality you can ramp up too and still have 60FPS. But, that will cut the price down to ~$500 and will still be good at things OTHER than gaming. This is a PC after all. Could someone help me out? I'm very new to PC gaming and I need help figuring out what is better than not besides price. Could someone give me a good $500 build for gaming? All I want to play is the total war series and possibly overwatch. Pentium G4560 3.5GHz Dual-Core, Radeon RX 480 4GB Red Dragon, TESSERACT SW ATX Mid Tower Total: $519.24 This is my first $500 build but I'm not sure if I have done it well or right at all. Could someone look it over and let me know your opinions or if you even have a better build I'd much appreciated it. How well would games like GTA V, Just Cause 3 or Far Cry 4 run on ultra settings???? And if not well how about a level under ultra settings. Could this run overwatch at1024x728? Yes, you would easily get over 60 fps. The deep cool TESSERACT BF ATX Mid Tower Case is sold out on SuperBiiz, and it isn't as cheap as some other cases when you add shipping, so I would suggest another case. One word: Definitely. An RX470 will max out both of those easily. For battlefield, it depends on what CPU you have or will get, because with an AMD FX 8320 you will get about 57fps, but with an i7-6700k you will get about 84fps, with an i5-3570k you will get about 80fps, all with the RX 470, Overwatch is an easy game to run, so no issues there, in fact some of the GTX 10 series cards max out at about 240 fps, either due to the game engine not supporting 240Hz+ or there is a CPU bottleneck. Hi i'm new this stuff and i was just wondering whether this needed an optical drive. Also does it need to a network adapter? It needs and optical drive if you plan on using dvds or blue rays. It will need a notwork adapter if you cant use an Ethernet cable. is their anything that I could change to make it better for a better price depending on if these parts are older? This thing will destroy CS:GO. If you are willing to take out the SSD and get a cheaper PSU, you could cram/add an i5-7400 for Rust. would I need to but a wireless network adapter to connect this build to the internet wirelessly? if so, which wireless network adapter would you suggest? I have 2.4 bandwidth and 5 bandwidth wifi. I want a PC to play games at 720P because it's my screen resolution, would you recommend this system? do you recommend a RX480 or is it overkill for 720? Way overkill for 720p. This can handle 1080p at Maximum.. Yes you could easily upgrade to an i7 in the LGA 1151 chipset and the GTX 1070 since the board has a PCI Express 3.0 x16 slot. how well could this run arma 3? How much fps will this aquire on bf1? Alright. I am trying to build a budget budget budget gaming pc of max 700$ with peripherals like mouse keyboard and monitor. Now i was wondering if it would be worth spending the now 125$ more expensive rx480 for gaming. I am not planning on playing any heavy games whatsoever, but i am just scared of getting something which is of too low quiality. Also, Seeing as the processor in this build is 60$, would it be good enough for gaming? I have read most other comments which say that this build can easily run games, but i can't help feeling like a pentium processor is just too bad for my liking. I have no experience at all at building pc's so any help appreciated :). Also i would like to have many options for upgrading in the future. P.S. 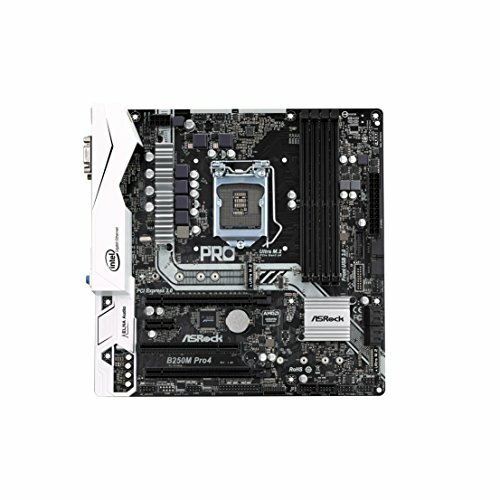 This https://pcpartpicker.com/list/KGj8m8 is my pc so far. Any suggetstions? https://pcpartpicker.com/list/pJcGNN consider this one. It's an edited version of your build that's a bit cheaper, but performs better for gaming. Hi guys, I'm a total novice and don't know squat yet . 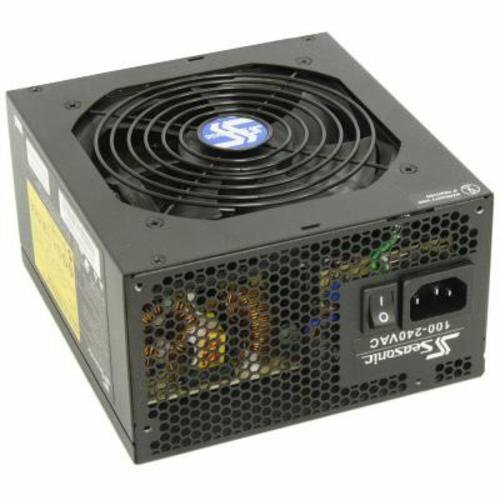 .. might try my first gaming build, but leaning towards simply ordering a CyberPower in the $500 to $700 range for my first gaming system. Want to play Skyrim (Legendary Edition), AC Black Flag, and Dishonored, mainly. How would it fair for the a fore mentioned games? Want an optical drive. I have a DVD-RAM ATA drive from my current HP 6005 Pro Desktop but looks like I might have problems going from win 7 to win 10. Why are so many systems without optical drives? 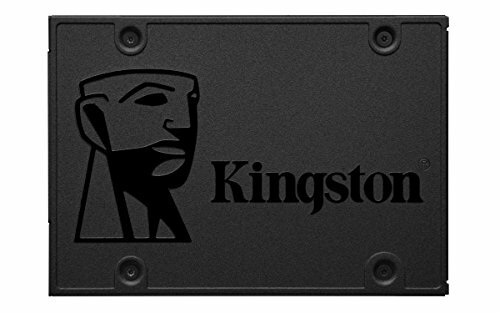 I am completely confused by SSD's. . . Can't you just have an internal 500GB SSD . . . Why would you need a conventional HD too if you really only need about 500GB's of storage? Also - Wouldn't you have disk management headaches in having to switch from one to the other in installing and/or accessing? It will handle those games just fine. If you want an optical drive just make sure the case has a bay for it, more and more cases coming out don't have them anymore. Mechanical HDDs are still unbeatable in price/GB, and I imagine most people don't need SSD speeds when accessing types of data that would be saved on one, like videos, pictures, etc... Win 10 makes it very easy to choose what drive you want new programs installed to and where to save your personal files and documents with a simple drop down menu for each in settings > storage. For this build, I would swap out the SATA SSD, for a M.2 NVMe. I think it's a no brainier, prices are dropping, they are much faster, this board supports it, and it's something you will most likely end up doing eventually anyway. Why would you get that PC, when you could get this one for around the same price? You don't need the CPU cooler or thermal compound. Both come included. Also a 7200rpm HDD is faster AND cheaper. Oh! Thanks, I am a noob with building PCs. Sorry for noob question but why a Micro ATX for a ATX mid tower case? Any reason why you're using a Pentium G4560 over an i3-1600? Ok... I looked it up just now and its a very small difference. Thanks for clarifying though! Would this build be able to run rainbow six seige just as well if not better than next gen consoles? So no possibility of dropping another GPU in. 2xRX480's are £320, which seems a good upgrade path. This would be my first build and I am kind of new to it. Would this be a good build for csgo, LoL, and video editing/ streaming? good for csgo and lol, but you need a better processor for video editing and streaming. while you're at it, i would buy a better videocard as well. Could I possibly stream and or record videos with this build? The CPU cooler is not necessary, as all 'non-k' CPUs come with one included. As far as RAM goes, just go for the cheapest possible, as it doesn't make a noticeable difference. Also, for the mobo, getting the cheapest option (within the correct chipset) works just fine. So if you're getting a i3-6100, the cheapest B150/H170 should work. If you go 7th gen (i5-7500/i3-7100), the cheapest B250/H270 would work. Following the release of Ryzen would you change the cpu on this at all? My friends looking to build in this price range but I can't convince him the pentium is sound. The cheapest Ryzen CPU at the moment is $330, so not right now. Can anybody give me an FPS estimate for Arma 3? It would be greatly appreciated. Why is it being changed so much it was different yesterday and the day before can you please tell me why, i bought most of the parts from yesterday will they still work with the build???? First time for me and i don't understand.. It's a first for me too, man. Why don't you list out all the parts you've already bought and see what the experienced builder's suggest? its based on parametric filters, so each part is based on what parts can be interchangable without performance loss but still be at the cheapest price because pc part prices are always changing. also please show me what you have already ordered and ill help you pick out the other parts you still need. How many frames will this get on Overwatch? What about graphically intensive games such as GTA V? 60+ fps on overwatch max settings. 40-60 in gta, also gta is cpu intensive and not as much gpu intensive. Does anyone have an update on when the Intel Pentium G4560 3.5GHz Dual-Core Processor might be back in stock? I can't seem to find it anywhere. you can get a g4600 from jet with 15% for about $10 more than a g4560 wich is a slightly faster proccesor and will be a great replacement option if you cant find the g4560. I did just that, couldn't find the g4560 anywhere. Best way to get Windows for this? Definitely don't get one of the free keys you can get that Microsoft don't approve of. Hello, I am totally new to the website, and wanted to know if this would be suitable for my gaming needs. I want to play games like CSGO, skyrim, just cause 3, dragons dogma, and a few more rpg style games. Would this build be enough for that? I have never built a pc and am completely new to everything, but am trying to make my first one. I'm not trying to play the latest games on ultra, and am not a graphics fanatic, so medium settings are fine for me too. What monitor should I pair up with this build? would this play h1z1 kotk at 60 fps? You could also try a GTX 1050 or GTX 1050 ti instead of say the GTX 1060 3GB. It's a 4GB card and can run most AAA titles pretty well. Plus it is typically priced somewhere around $100. It's great little piece of hardware that can handle quite a lot. 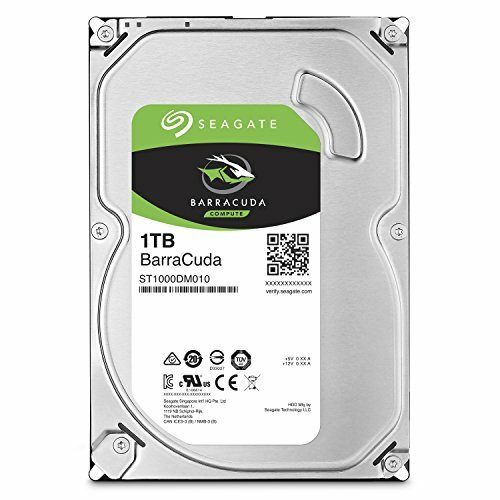 could i use a WD Blue 1TB SATA 3.5" Internal Hard Drive WD10EZEX, instead of the Western Digital Caviar Blue 1TB 3.5" 7200RPM Internal Hard Drive? Would this run games like Conan Exiles, or any other games that I through at it with a reasonable frame rate???? Heya, your opinion is completely valid! One thing you are missing is that when you have an SSD, everything stored on it will be much snappier and more responsive. That may not matter to everyone, but I find it to be far and away the most important benefit - certainly more important than boot times and load times. Thanks for they reply, and I do understand what you are saying, but as far as I know that applies to loading times, and maybe in-game menus, like in BeamNG.Drive the menus load a little slow, maybe 4 seconds, so I guess an SSD would benefit in that aspect as well. I think I have my answer after reading some of the comments. Would this handle the fighting game, Killer Instinct on high settings? anyone know of any other cases I could use for this build, I'm not to picky but I prefer white and red with a clear side so you can see into it. how well will this build run the Elder Scrolls Online? Is there need to buy a sound card with this? I'm doing a first build with a friend and I only have a little experience. Hi, No definitely no sound card needed at all. Case fans you would be fine with the two that it comes with to be honest! Hey guys, I'm planning on building a PC this summer (finally!) I have been reading for a few months about certain parts and what would fit well with my budget. I have a budget of $700. I'm looking for a solid 1080p 60fps capable PC, but I would also like to have a decent 1440p gaming experience. I'm looking for people to send me a build that would include the RX 480, 16GB RAM, and at least 1TB of storage. If $700 is too little for one or more of those parts than a suggested downgrade would be appreciated. Thank you! I need a PC for basic stuff, like school work, etc. I also plan to play lots of Overwatch on here, will this PC be able to run Overwatch really good? I would like to get into PC gaming. Specifically for Rainbow Six Siege and CS GO. Will this build run those games at decent settings? Also what is the opportunity for upgrade on this build. Thanks! It will run CS GO no problem but I am not sure about Rainbow Six Siege, maybe high setting +60 FPS. im looking to build my first pc and a friend has offered me a r9 290 graphics card for £100 ,do you think this is worth it or should i buy the same card as this build? i know its second hand but i do trusrt this guy ,he isnt the type to mess me around . Just wondering, what monitor would you recommend for this build? I just started ordering parts for it, as it seems to be perfect for what I'm looking for. Thankyou!! Nice budget build but i would go for a gtx 1050 instead of the radeon rx 470. It will be cheaper. I disagree with a 1050ti. The RX 470 is still going to perform a lot better while not being that much more expensive. Totally agree, an earlier build had the 1050 Ti, and the overwhelming complain is that the 470 is only a little bit extra, but at least 1.5 x as powerful. The 1050 Ti is more for 300w psu OEM PC's that you just want to slap a card in and game with. Custom builds with 450w+ power supplies should get a 470, imho. Thanks to new optimization the RX 460 would be a better choice than the 1050.
dont get a gtx 1050, the rx 470 is a million times better and it will be much more worth it in the long run. It is absolutely not better, not even close. Did you just compare an RX 470 to a GTX 1050ti? 30-40% faster in real life, 50%+ percent faster in synthetic benchmarks (Eg. UserBenchmark). Define "way better"? Nothing against the 1050ti, but the 470 trounces it. I'd really rather not recommend something that won't work straight out of the box. You'd honestly prefer that someone buy a board that requires BIOS update for the chosen CPU, have it not boot, and then spend X amount of time trying to troubleshoot who-knows-what, potentially sending back a bunch of components at their own expense, costing them both money and time spent actually using their new machine, all in the name of a learning experience? That's a poor attitude, IMO.